The Chicago City Wide Symphony Orchestra relies on the support of the Chicago Park District for its rehearsal facilities, music library storage, concert venue and music director. The Chicago Park District is the largest and most extensive city park and recreation system in Illinois and offers a variety of music programs in many of its facilities. Please visit the Park Districts web site for more information. An elected advisory Board of Directors who each serve a two-year term of office governs the Orchestra. Members of the orchestra voluntarily contribute modest annual dues to support the purchase of music for addition to its library and other costs of running and maintaining the orchestra. The Chicago City Wide Symphony Orchestra gratefully acknowledges the contributions of its guest artists, composers, musicians, board members, and volunteers who support the art of symphony music, and the importance of an orchestra’s role in the community. For more information on supporting the orchestra, please contact us directly. The Orchestra acknowledges Graphic Designer Justin Braun for his contribution to this web site. The City Wide Orchestra is indebted to Jeff Cappelli, President, Chicago Piano Service, Inc., for his generous in-kind donations and tireless efforts on behalf of the Orchestra. We encourage you to visit the following links for all your piano needs. Chicago Piano Service, Inc. provides piano tuning, voicing, regulation, repairs, maintenance, cleaning, and appraisals. 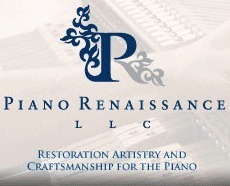 Chicago Piano Service, Inc. partners with Piano Renaissance, LLC for the complete restoration of pianos. Businesses play a key role in ensuring the health and vitality of the arts, and the orchestra extends a thank you to the following for their generosity in sponsoring our events.